Bloxham Mill is renowned for having an exciting variety of successful businesses and interesting new ventures. Well, if you are interested in golf, read on…The Centre’s latest client has a really great proposition and if you want to improve your short game, now is your chance! The Cooks’ Putting Studio will be open for business from the 20th July 2017. 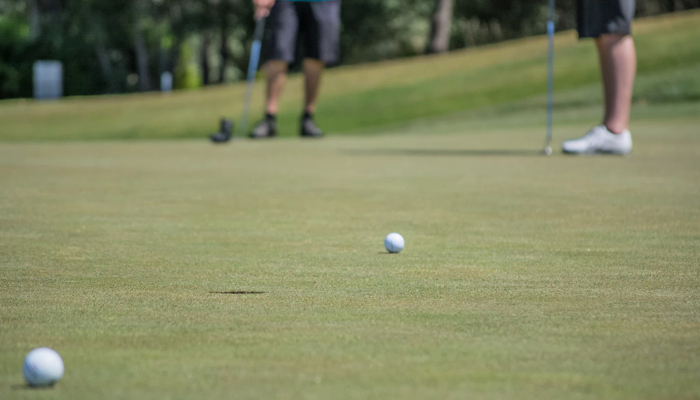 Former European Tour golfer, John Cook and his son, Mathew, are both highly experienced European Tour Golf Coaches and believe there is no better way to improve your game than concentrating on one of the most important shots – the putt! John is one of the leading golf writers and commentators having worked for Today’s Golfer, Golf World, Golf Channel and GolfMagic.com. He has also released a new book, “The Greatest Guide to Golf” and his instructional DVD “The Swing” is very popular. But despite John and Mathew working with some of the top golfing amateurs and professionals in the country – and John has played with Jack Nicklaus and can list Gary Player amongst his friends – they both want to help everyone from total beginner, handicap club golfers and also encourage young people to get interested in the game, to appreciate what a great sport this is. John told us, “We live in Bloxham and needed the right environment for our indoor putting studio, or lab, as it is sometimes called. After meeting with Ray Avery and realising just how helpful and flexible space at Bloxham Mill can be, we didn’t need to look any further. The location seemed perfect – plenty of parking for our visitors, fabulous Café and a real friendly atmosphere. We are making a significant investment and the new studio will be equipped with a top notch super putting Huxley turf and high-speed cameras will be installed so that we can record in slow motion”. As well as bringing amateur golfers and professionals to Bloxham Mill, John and Mathew are planning to launch teaching packages for local golfers and beginners, corporate events, link up with local schools, as well as doing a special deal for any business based at Bloxham Mill. With the advantage of being indoors, the teaching can go on all year round and doesn’t depend on the weather!